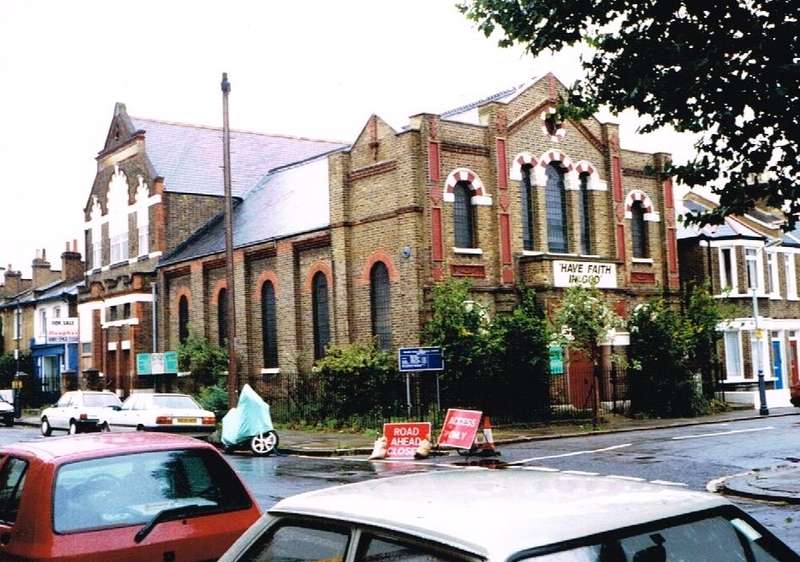 The first Dalling Road Primitive Methodist chapel was opened in 1870 and the second chapel with its adjacent Sunday School,in 1905. It was part of the Hammersmith and Fulham section of the London Mission. 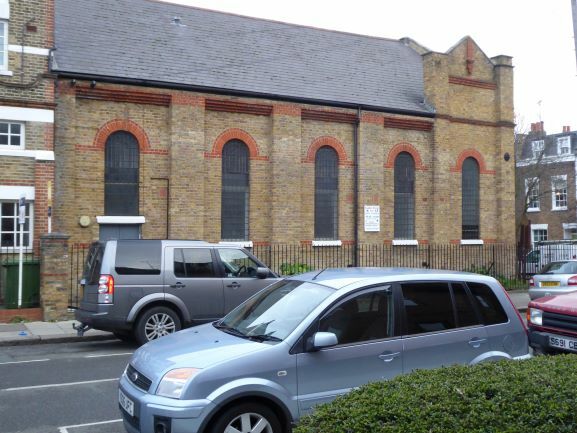 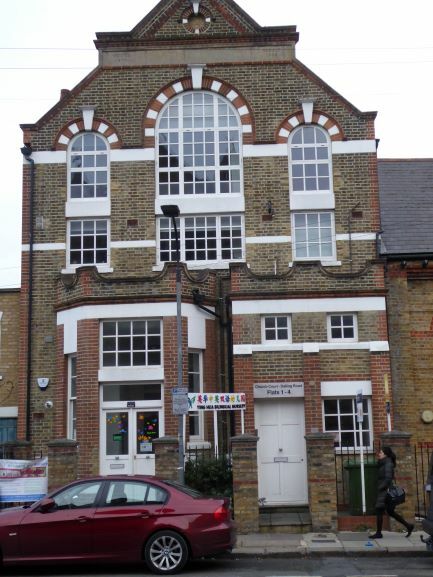 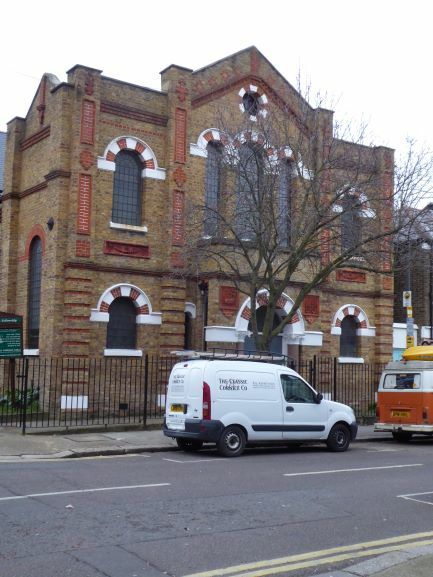 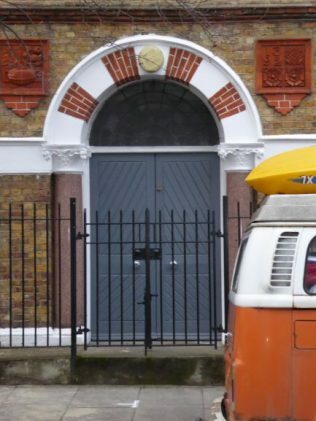 The chapel,which fronts onto Furber Street, is used in May 2015 by Hammersmith Christian Fellowship (Baptist). Thanks to G. W. Oxley for the photographs that have now been added to this page. 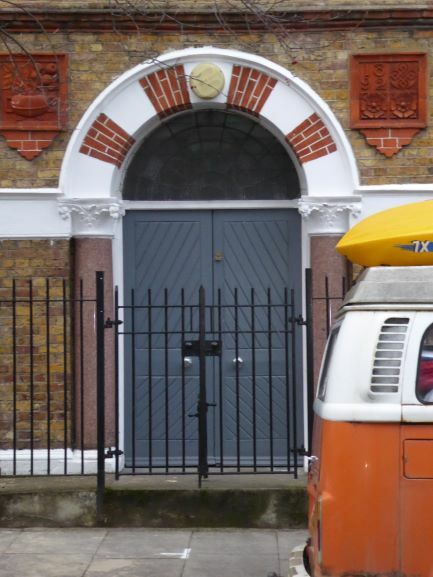 It is good to know the architect of this unusual building. 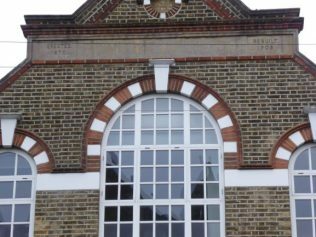 This information is essential but can be hard to find. 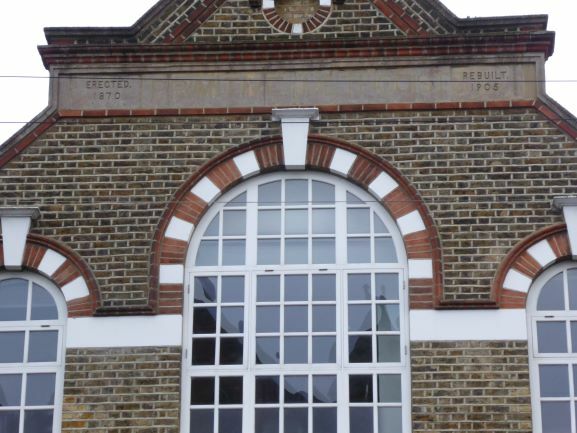 Where are other examples of Davidson and Phillipson’s chapel architecture?